A week long PEACEapp workshop took place in Algeciras, Spain, where un-documented youth, young refugees, and youth from the host city of Algeciras worked together creating digital games on relevant social issues to their lives as a platform for encouraging and facilitating intercultural dialogue. After the workshop a local gaming company (@OmniumLab) joined the initiative and continued working with the group. They have created SURVIVAL, a gamified app on the challenges of refugees arriving in Europe. Fresh, simple and beautiful, the game generates public awareness. The workshop took place during five afternoons, from Monday January 16 to Friday 20, and had the support, among other organizations, of Algeciras’ City Council, Regional Government-Junta de Andalucía, Foundation Campus Tecnológico de Algeciras, Foundation CEPAIM, Foundation Juan Ramón Jiménez, School Hostelería San Roque, Colegio Nuestra Señora del Cobre, the Network of Gibraltar’s Camp Municipalities, and NairobiPlayProject. 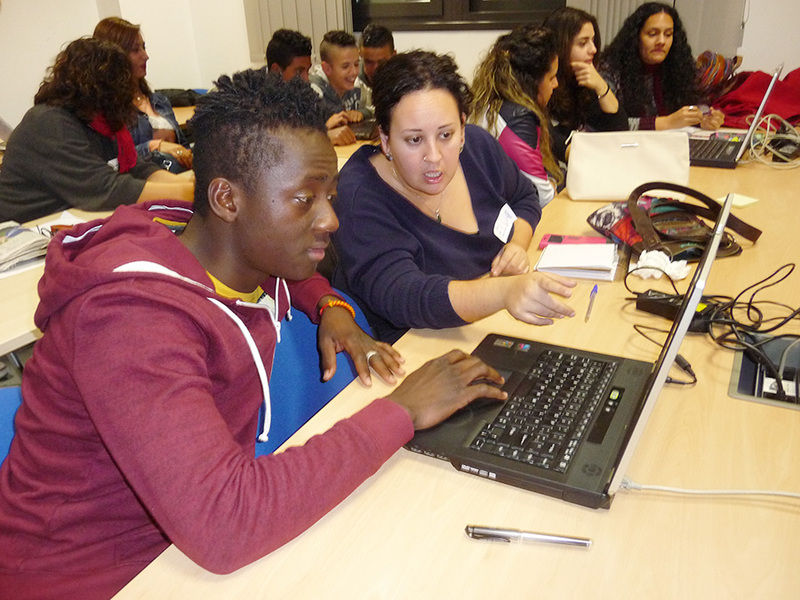 The twenty-five participants of the PEACEapp Algeciras workshop included youth from nine countries: Spain, Morocco, Ivory Coast, Algeria, Paraguay, Ukraine, Cameroon, Senegal and Mali. 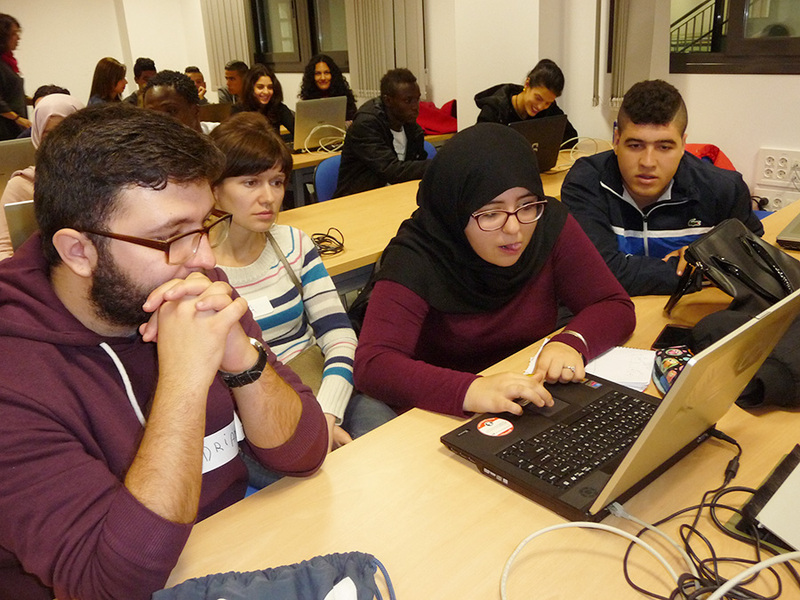 The workshop was an opportunity for these young people, who would, for legal and social status, not necessarily meet and work together, to jointly develop together in small groups video games using MIT’s Scratch platform. The workshop was not only an opportunity to develop digital competencies but also, for many of the participants, to improve on communication skills. The learned digital and communicational skills will certainly help the participants to find opportunities for social inclusion into the new society (for the migrants) and to better appreciate the multiple challenges that refugees and un-accompanied youth find upon arriving to a new country (for the local youth). This workshop was part of UNAOC’s ongoing PEACEapp initiative, providing opportunities for digital literacy and intercultural dialogue to young refugees and youth from host countries.